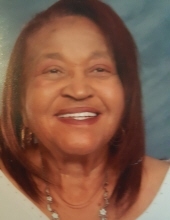 Annie B Sorrell Johnson, 82, of Knoxville TN, received her wings on October 26, 2018 at her home. To send flowers or a remembrance gift to the family of Annie B Sorrell Johnson, please visit our Tribute Store. "Email Address" would like to share the life celebration of Annie B Sorrell Johnson. Click on the "link" to go to share a favorite memory or leave a condolence message for the family.